Welcome to Withypool and Hawkridge Parish Council’s website. 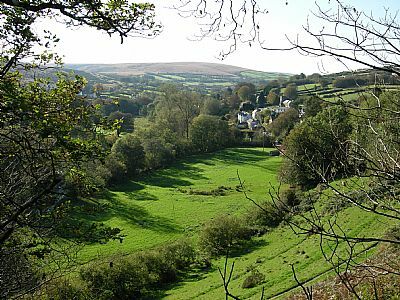 Withypool and Hawkridge are 2 small moorland villages in the Exmoor National Park and within West Somerset. The total area is 3100 hectares and the population was 234 in 2001. The local economy is based around hill farming where sheep farming predominates and tourism. Visitors come to admire the beauty, to walk along the endless choice of footpaths, to ride on the moors and to hunt, shoot and fish. 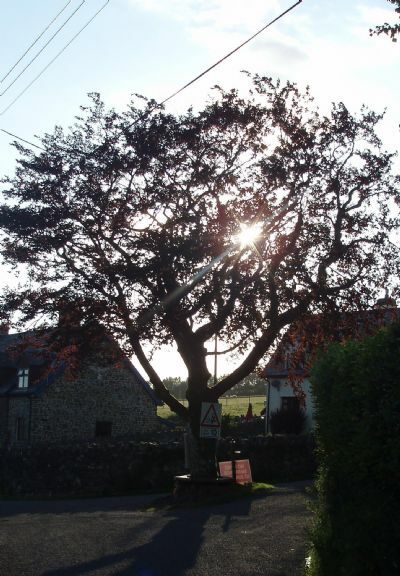 The links from this website provide much more information about Withypool, Hawkridge and Exmoor. Withypool nestling in the valley, looking towards the moor of Withypool Common. 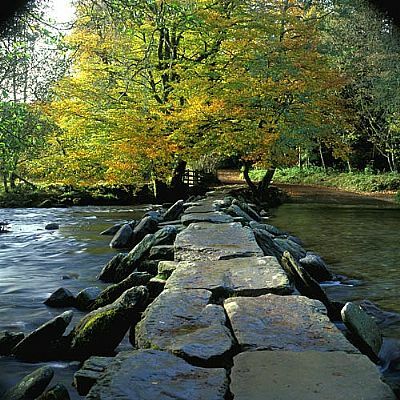 The famous clapper bridge at Tarr Steps. Withypool is the larger of our 2 villages. The River Barle was originally forded at this point – “where pools in the river were surrounded by willows”. The village has a shop and post office, an inn (the Royal Oak) and tea rooms. 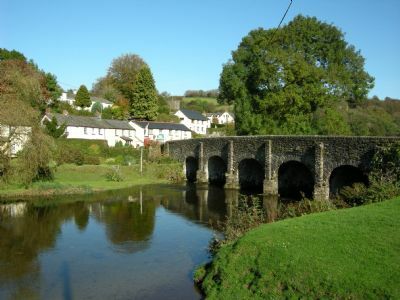 Hawkridge, “the ridge visited by buzzards”, lies on the track that crosses the River Barle at Tarr Steps. It is an active community of just over 50 people and some families have lived here for many generations. 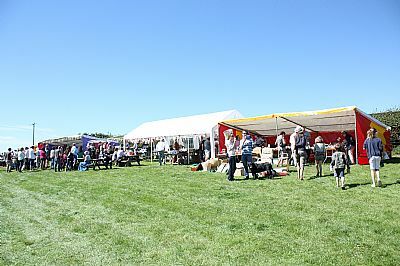 The celebrated Hawkridge Revel and Gymkhana. Exmoor is the smallest of the national parks and one of the original ones. Famous for its stunning landscape, wilderness and tranquility. The Bristol Channel coast with the highest cliffs in England, is amere 20 minutes away. There is so much to explore and visit and so little which has been spoilt. Again, our links from this website will lead you to learn and appreciate much more about our locality. 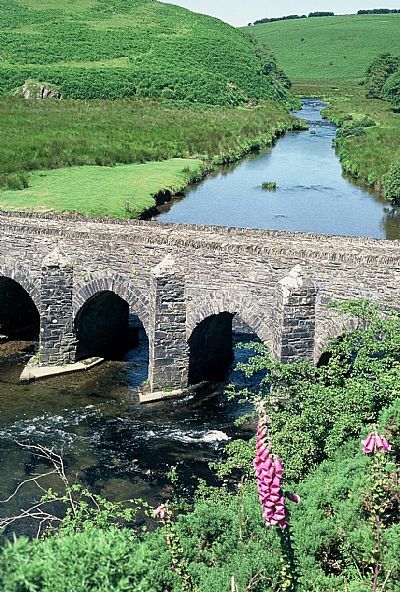 Lanacre Bridge over the Barle – the oldest medieval bridge on the moor. 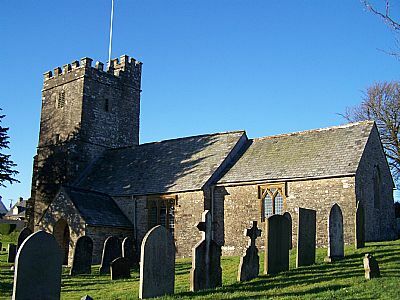 St Giles’ church at Hawkridge stands proud above the valley and the overlooks the moor.